(Advocacy4Oromia, 2 October 2017) Millions of Oromo people attend the “Irreecha” festival also known as ‘Oromo Thanksgiving’ in Bishoftu, Oromia on October 1, 2017. 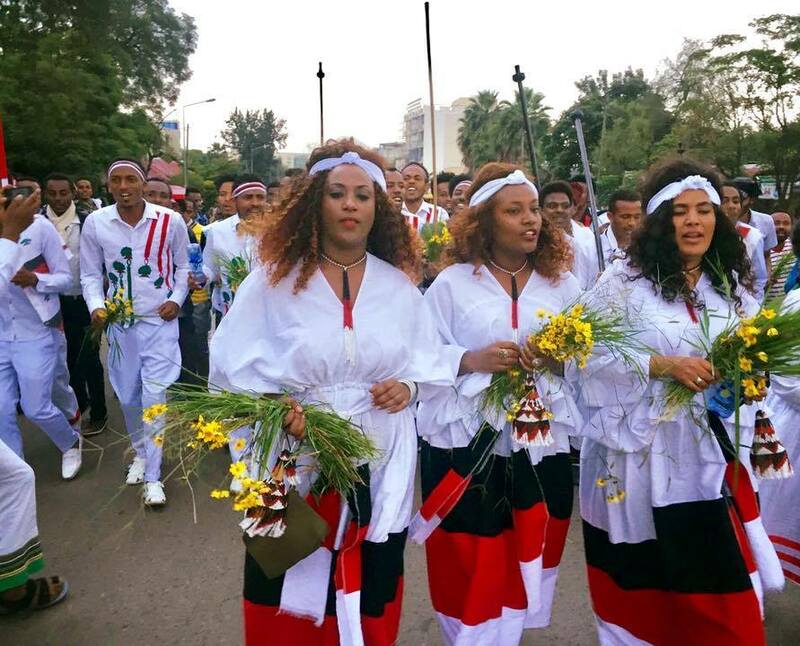 This year’s Irreecha festival brought peaceful but powerful protest as the Oromo people marked the anniversary of last year’s massacre at Bishoftu. Irrecha is an Oromo thanks giving festival which is celebrated twice a year; Irreecha Malka and Irreecha Tulluu. 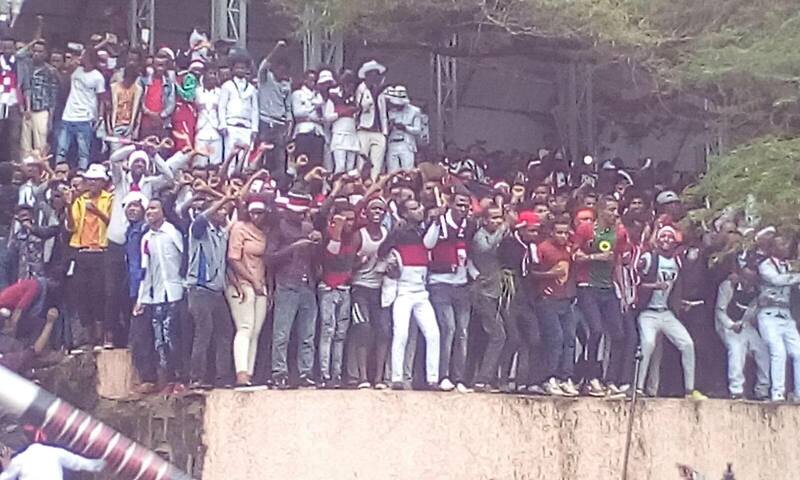 An Oromian festival on Sunday turned into a massive anti-government protest for the second year in a row. 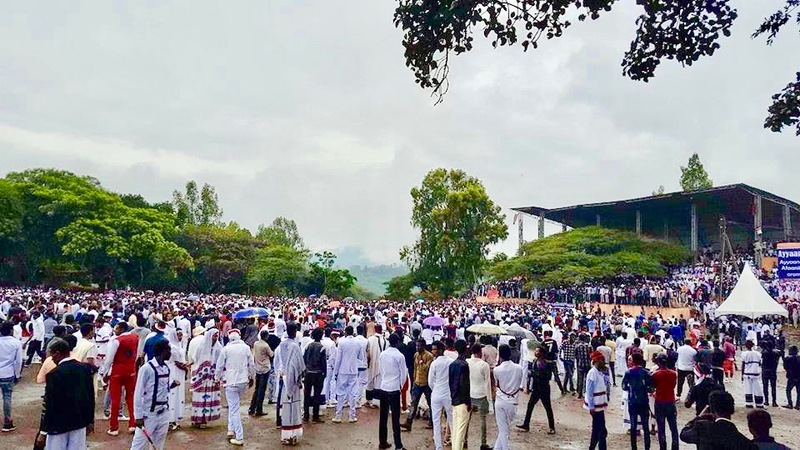 Over a million people gathered at Hora Harsede, a meeting place for Irreecha celebration in the central town of Bushoftu, 50 kilometers (31 miles) south of the capital, Addis Ababa. Irreecha, a Thanksgiving holiday, is celebrated by Ethiopia’s largest nation, Oromo people of Oromia. The celebration turned into a protest after the crowd took over the dais reserved for community elders and began chanting anti-government slogans. Last year, more than 50 people were killed in a stampede caused by tear gas and bullets fired by security forces to disperse anti-government demonstrators during the celebration. The incident led to an imposition of martial law, which lasted for 10 months. Last week, the government put a ban on the presence of army and armed forces at the site of the celebration. “The agreement to keep the army and armed police at bay paid off this time around because it prevented confrontations and possible violence,” Lulu Alemu, Oromia Deputy Communications Office head, told Anadolu Agency. 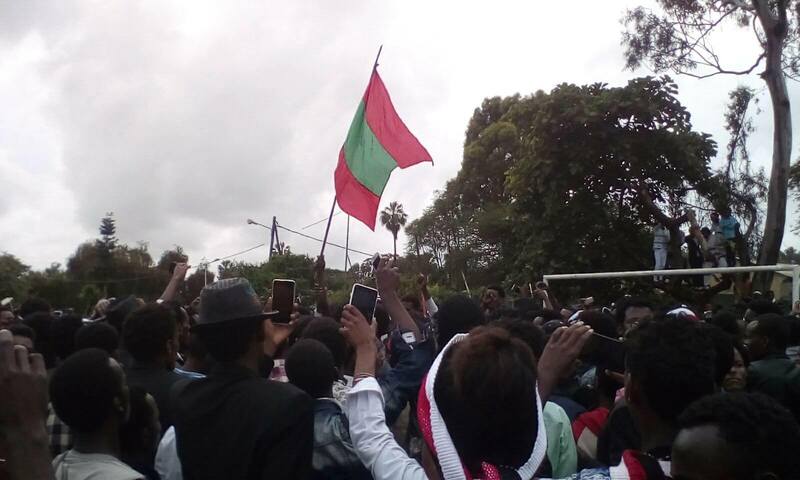 The Oromo people began a protest two years ago in opposition to a now annulled bill to expand the capital Addis Ababa city, which people perceived would result in forced evictions of farmers and expropriation of land. The Oromo and Amhara people, two of the largest ethnic groups in Ethiopia have been demanding political and economic freedoms. Magarsa Dabi, a 33-year-old demonstrator, told Anadolu Agency that he went out to protest “the divisive and oppressive” policies of the regime. “It is sad that the popular demands for political and economic freedom as well as social justice have been left unanswered,” he lamented.